The 11th ALCS Biennial Conference took place from 29 June-1 July 2016 at University College Dublin. The conference organisers, under the inspiring leadership of dr. John Loughman (UCD), could not have picked a more topical theme: Narrating Change, Changing Narratives acquired that special ring only a week after the EU referendum. This 11th edition was our most ‘international’ conference to date, attracting speakers from a dozen countries spread over four continents: Ireland, Belgium, Canada, Germany, Italy, Czech Republic, Poland, Netherlands, South-Africa, South-Korea, United States, and United Kingdom. Pamela Pattynama of the University of Amsterdam who is an expert in changing colonial narratives. Her book on the representation of Indonesia and Dutch colonial rule, Bitterzoet Indië, was the starting point of her paper. 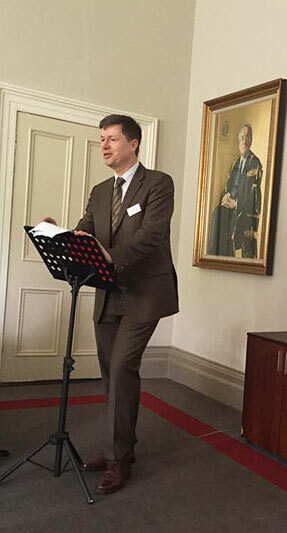 Adriaan Waiboer, Curator of Northern European Art at the National Gallery of Ireland. Dr Waiboer discussed his current project: ‘Vermeer and the Masters of Genre Painting: Inspiration and Rivalry’ to be shown at the National Gallery of Ireland and in Paris and Washington in 2017-18. David van der Linden, Rijksuniversiteit Groningen, who introduced, discussed and reflected on the “Signed, Sealed & Undelivered” project, exploring the letters of the Brienne trunk.